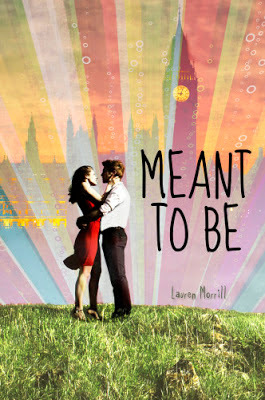 Today I am talking about MEANT TO BE a YA contemporary about a girl who goes on a class trip to London and finds romance in unexpected places. Let me begin with a story: JUST A LITTLE BIT LOST is a book which has really stuck with me since my childhood. In it, the main character gets lost on a school trip with the popular boy she has a crush on and once they have the chance to really get to know each other, they fall in love. Perfect teen fantasy, right? MEANT TO BE has a similar vibe. At the beginning of her trip, responsible, studious Julia (nicknamed "book licker") is not interested in Jason. He's too irresponsible - and most importantly, he's not her MTB ("meant to be"), a designation she's given another boy who didn't come to London. But -- Julia's teacher puts the two of them together as travel buddies, forcing them to interact regularly. Jason convinces Julia to go to a party with him, she meets a bunch of hot guys and ends up with a texting flirt over the next few days. Jason offers to help. But is it really Jason that Julia should end up with? There are so many fun scenes throughout the novel as Julia opens herself up to new experiences off the beaten path. And obviously I adore books about foreign travel and think there should be more of them. And now, let's chat with Lauren! I love the initial interactions between Julia and Jason, particularly when he's inviting Julia to the party. I love their banter. There's a joke about Czechoslovakia (actually in that same scene from the last question) that is awesomely nerdy, and I was so jazzed that it made it into the final manuscript. Writing all the locations in London was so fun, but I enjoyed writing the scene in The Tate Modern the most. I had a good time virtually exploring and learning about various pieces as research. Sarah Finder is a great character, because there's so much more to her than meets the eye. I can't say much more without giving away spoilers, but I think she'd make a sassy narrator in another book. Seeing my cover for the first time was the best. Heather, the designer at Random House, truly hit it out of the park. It's really eye catching and unlike anything else that's out there. I couldn't be happier with it. I wish I could pass on even half the compliments I've received. THANKS HEATHER!!! MEANT TO BE is out in hardcover now. Find out more about it at the author's website. If you'll be in Kansas City next Tuesday, consider coming to see me, Gennifer Albin (CREWEL) and Bethany Hagen (LANDRY PARK ex. Fall 2013) chat about Dystopian fiction. I'll be giving away copies of LEVEL 2, swag and German chocolate. Find out all about the event at the library website. 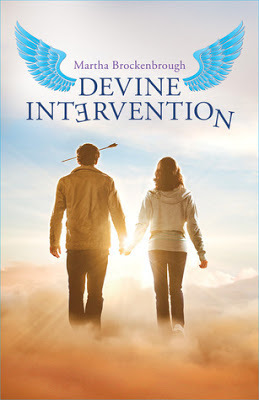 Today I am talking about DEVINE INTERVENTION a YA afterlife novel about a boy assigned to an afterlife rehabilitation program where he becomes a very unsuccessful guardian angel to a girl. Shot through the head with an arrow by his best friend, Jerome ends up in purgatory where he must watch over Heidi in order to move on. Heidi has grown up her whole life with Jerome in her head, thinking she must be crazy. When Jerome isn't watching one day, Heidi falls through the ice and her spirit joins Jerome on the other side. Jerome knows he'll be in trouble if his counselors find out, so he tries to hide Heidi - but neither realizes what dire consequences this could have for both of them. DEVINE INTERVENTION combines comedy (via Jerome with his bumbling nature) with pathos (Heidi and her yearning to be accepted and loved) to create a truly entertaining and rewarding afterlife story. The worldbuilding is imaginative and logical and the plot goes to surprising places. "To even start to love someone, you have to know where you start and where you end. Where you are, and where you aren't, the shape you make in the world." Just fair warning: There is animal death in this novel. I had to skip pages 46-47 because of the description of cat killing. And now for my interview with Martha! Oh! That is such a good question. There are a few scenes I really like. One inspired the cover (although the cover is a daylight scene and the one in my book happens at night). It's where Jerome and Heidi, my two protagonists, are floating above the mall where the back entrance to heaven is secretly located. I also like the scene where Jerome visits his father in the middle of the night. And the ending, because I put my heart into that one—I think of it as a love letter to people who feel uncomfortable in their own skin, and to people who never got the chance to experience a Hollywood-style teen romance. It's awkward and sweet and sad, which I think is what high school is for a whole bunch of us. The ending is magnificent! What is your favorite line in the book? I don't know that I have a favorite line, but I do like my made-up swears. I sometimes say Chevy when I am thinking something far worse. Chevy is perfect! Especially because I had a Chevy in high school that was worthy of a swear word. What setting was most fun to write? Heaven, for sure. I have a few locations there—one that's like a principal's office, one that's used for group rehabilitation, and a couple of lobbies. Every guardian angel in heaven's soul rehabilitation program has a lobby, which is where he gets to hang out and recharge his celestial batteries while being surrounded by his favorite things. I wish I had a lobby of my own. Sort of like Virginia Woolf's "A Room of One's Own," but with snack machines. Heidi has a best friend, Megan, who has no filter on her mouth or her wardrobe. I'd like to write a book about her and the villain, Howard, a sociopath who has one last chance at redemption. I've loved every second of it (although some of those seconds have made me nervous). Without a doubt, though, it's the people I've met: my agent, my editor, my readers, booksellers, librarians, other writers. For the first time in my life, I feel I'm with my tribe, people who love books and stories and words as much as I do. I could not be happier. Thank you so much Martha! DEVINE INTERVENTION is out in hardcover now. Find out more about it at the author's website. Remember how I told you I also wrote a picture book in collaboration with my husband, Illustrator Daniel Jennewein? 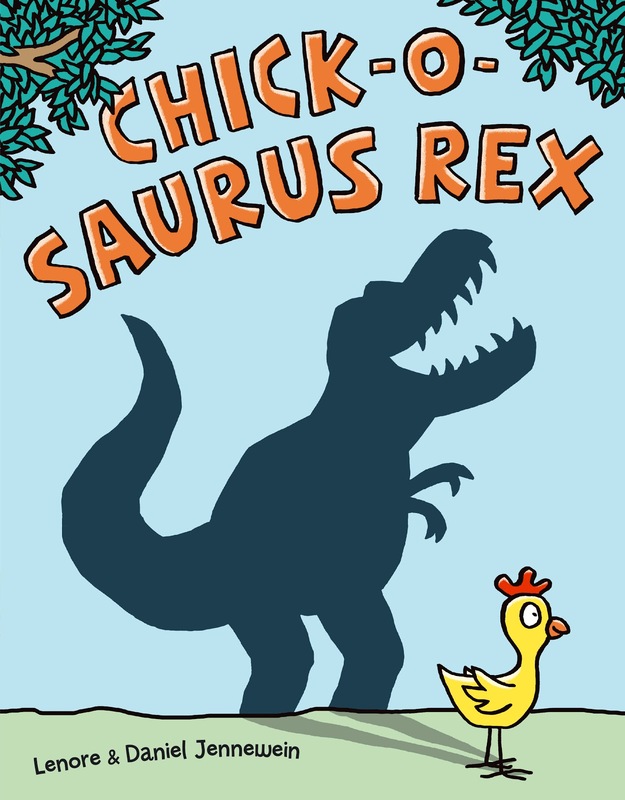 Well that picture book, CHICK-O-SAURUS REX, now has a cover! It's coming out on July 23, 2013. You can already add it to Goodreads and even pre-order it. I've also gotten word that F&Gs are in (the picture book version of an ARC) so I'll give one away to someone who comments on this post (and leaves an e-mail address so I can contact you if you win) by midnight CST of Thanksgiving day. US and Canada only for this one. I'll leave you with this picture of Daniel and me in front of a T-Rex skull. Today I'm featuring TOUCHING THE SURFACE, a YA fantasy set in the afterlife. It's no secret I love afterlife books (after all, I wrote one), and I'm always struck by how very different they are from one another. While they often share the theme of living life to the fullest and learning to let go, the author's vision of the afterlife is what sets these stories apart. In TOUCHING THE SURFACE, Elliot is back in the Obmil (get it? Limbo written backwards?) for the third time. Which is ... not so good. This is her last chance to get things right so she can move on to what's next. 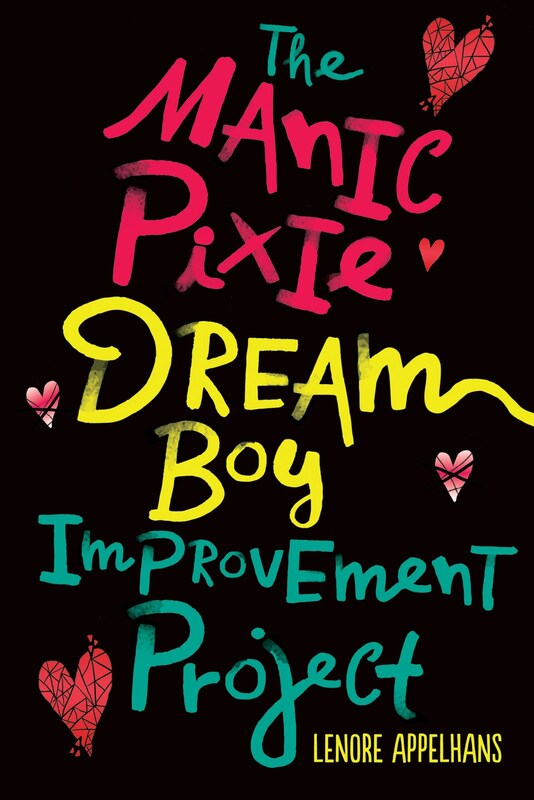 But Elliot isn't much for self-examination and doesn't want to delve into her past life memories - that is until she discovers her connection with two very different boys and wants to solve the mystery of why one seems to love her unconditionally while the other hates her with a burning passion. 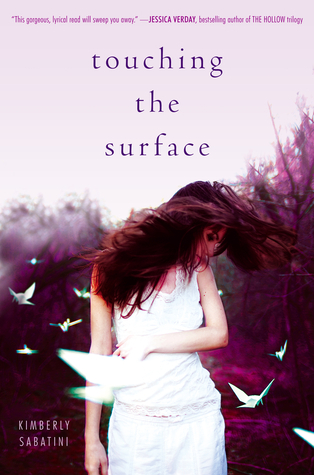 TOUCHING THE SURFACE is an example of a book that's pushing the boundaries of what YA can be. In her third life, Elliot died as a teen, but in her first, she was a twin brother who died in his 80s and in her second she was a middle-aged woman with a marital crisis. Obviously as this is YA, the narrative concentrates on the particulars of Elliot's teen life, but we also get glimpses of the overall person she is in the afterlife, one shaped by all of her earthly experiences. It's a fascinating and immersive examination of the consequences of our actions and choices. The dedication. It means everything to me. But if I had to pick a "line" from the actual story, I'd pick this one, which is really just a part of a line. "But all it takes is one small change in perspective…" I believe that so it resonates deeply with me. By far everything having to do with the Obmil. My imagination is so thankful for the creative license. I think about the field of sunflowers often. I'd like to sit there myself. Julia Going because she has always been so elusive. I have had to tug her out of cracks and crevices to find out who she really is and I still think I haven't completely discovered everything there is to know about her. Perhaps she will come knocking on my door again some day. Working with my editor, Anica Rissi and my agent, Michelle Wolfson. I've learned so much and I can't explain what it feels like to have someone love your book with the same passion that you do--its amazing. And ARCs of really good books. I LOVE it when I get to read an amazing book before it's out on the shelf. I feel like a special conspirator. Now if I could only read faster! TOUCHING THE SURFACE is available in hardcover now. Find out more about it at the author's website. Lots of exciting news to share lately! First, I got a special package in the mail today. From Usborne. Finished copies of the UK edition of LEVEL 2! I think this calls for a giveaway, don't you? 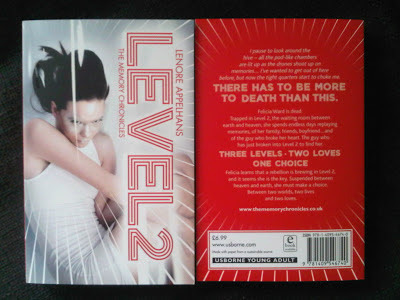 I'll send one lucky reader a signed copy of LEVEL 2 (UK edition) + a magnet + 5 signed postcards. Fill out this form by November 12, 2012 at 11:59 pm CST. Open internationally! 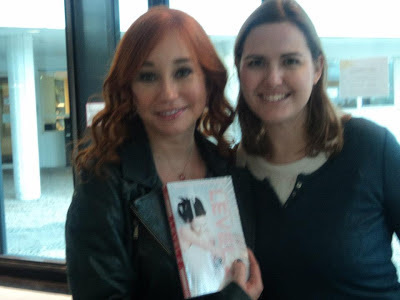 You might have seen this on Facebook, but on October 15, I met Tori Amos before her concert in Berlin and gave her a galley of LEVEL 2. I pointed out that I thanked her in my acknowledgements, and she told me she plans to read it with her teenage daughter. How cool is that?! 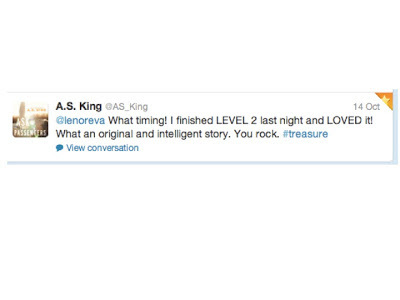 To also file in the extremely cool fangirl file is this tweet from one of my absolute favorite authors, AS King. Thank you so much for reading you two!! And finally, you can listen to Jenna Lamia read an excerpt of the US version of the LEVEL 2 audiobook (from Listening Library) at Books on Tape. I love how she sounds and I can't wait to hear the rest. PS - the winner of my contest during the Apocalypsies YAmazing Race is: Kelly L. from The Well Read Redhead. Congrats Kelly! Have you read BLOOD RED ROAD yet? (My review) If not, what are you waiting for? I'll admit, I had some trouble getting into the rhythm of Saba's (uneducated) voice in the first book, but once I got used to the writing, I found it wholly immersive. In fact, when I started REBEL HEART, Young's writing pulled me in so immediately, it was like I never left the Dustlands. In this installment, Saba has a bit of PTSD after what happened at the end of BLOOD RED ROAD. She's on her way to meet with Jack, but new malevolent forces (the revived Tonton with De Malo as a leader) conspire to keep them apart. There were a lot of scenes that threw me for a loop, and I was riveted by events and emotions. 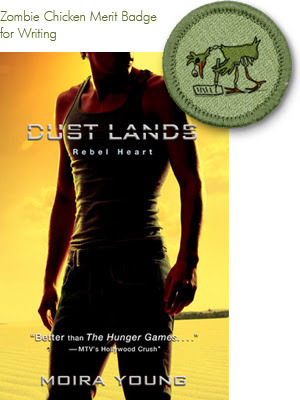 That's why REBEL HEART gets the Zombie Chicken Merit Badge for Writing. For the Rule of Three blog tour, I got to create a playlist! Because I chose songs to fit specific scenes, this playlist is slightly spoilery (no major spoilers, I promise). Scene: Beginning of book. Saba, her siblings and Tommo in the desert. but in my mind it's turning cold. Notes: This song has great atmosphere, and of course the lyrics are very fitting for the Dustlands setting. Scene: Saba worried that her quest to find Jack is putting everyone she loves in danger. Notes: In BLOOD RED ROAD, Saba had the "red hot" so we didn't see a lot of her fear. Things are a bit different in book two. Scene: Ghosts of the dead haunting Saba. Was there one you saw too clearly? Now they're all dead hearts to you. Notes: Saba is feeling guilty about what happened to Epona, and she finds it hard to let go. They sang to me, "This is yours to wear. You're the chosen one, there's no turning back now." Notes: I love the mystical atmosphere of this song. Fits the scene so well. Scene: Saba realizing the new threat and preparing herself to take it on. Notes: This struck me because Saba is attempting to gain her courage from a deeper place now, whereas before, she relied purely on instinct and basic will to survive. Scene: In the mysterious hideout with the 3D movie house. Notes: I love this song and I was so thrilled that this scene existed so I could use it. This is where Saba first gets an inkling of how beautiful the world used to be in the "olden days". Scene: De Malo explaining the rationale behind the Tonton's new world order. Notes: OMG - right? I was seriously like WTF?! Scene: At the Tonton stronghold. Saba's face-off with De Malo. Notes: I love the complexity of De Malo as an adversary for Saba. Notes: Again, this song speaks to the complexity of the conflict. Scene: Saba thinking about everything that's happened. Notes: Sort of sums up what Saba must be feeling. Scene: Last scene of the book. stand guard in the morning sun. Notes: If you've read the book, you know how perfectly this song fits here. Scene: Nothing specific, just my tribute to certain characters who are no longer with us by the end of the book. Oh, also a nod to the scene earlier in the book with the old man, the camel and the cart. Could you survive the Dust Lands? 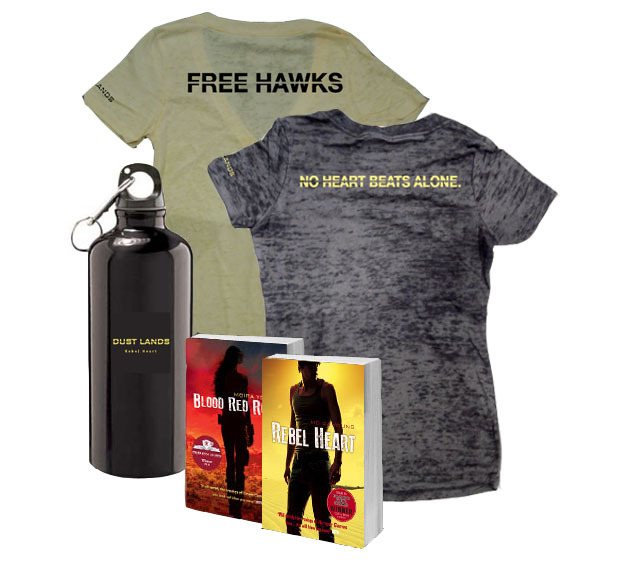 · A Dust Lands prize pack including a custom t-shirt, custom water bottle and copies of Blood Red Road and Rebel Heart! To enter, fill out this form by November 18 2012 at 11:59 pm CST. Giveaway open to US residents only. The Rule of Three Blog Tour: Each Monday for three weeks, three sites will go live with unique content including guest posts from Moira, reviews/giveaways, and blogger-created fan features. Make sure to check out Moira’s other stops at The Book Smugglers and Books Complete Me. I've been an AS fangirl ever since her debut DUST OF 100 DOGS. 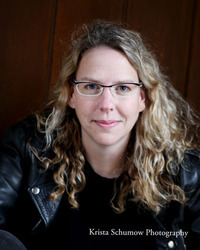 She's one of the most innovative writers in YA and ASK THE PASSENGERS is another winner. Astrid is tired of all the labeling that goes on in her small town. Why can't people just love without having to define it and put it in a box? So she spends her free time lying on the picnic table in her backyard and sending love to the passengers in the planes that fly overhead. Something that characterizes AS King's work is a very authentic contemporary voice mixed with an element of the unexplained. Here it would appear that what Astrid sends out into the universe has an effect on someone in the planes overhead. If it's love, that passenger might make a shocking declaration. If it's frustration, the passenger might react in kind. It's a genius metaphor for reaping what we sow. As Astrid struggles to find her place within her family (overachieving mother and sister, pothead father) and within her circle of friends she also falls in love with another girl and ponders philosophy deeply. Her character arc is touching and inspiring. 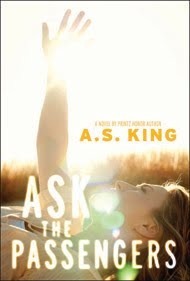 ASK THE PASSENGERS is available now. Find out more about it at the author's website. And now, as per our tradition, I interview AS King and she provides us with an embarrassing photo from her past. What the craziest or most remarkable thing that has ever happened to you on a plane? Smoking. Smoking is probably the craziest and most remarkable thing that ever happened to me on a plane. Seriously. How did they let us do that? And why did they ever think that there was a smoking "section" and a non-smoking "section?" We all knew that we all smelled like ashtrays when we walked off those flights, smokers or not. Also: it's a can of flying oxygen. I ask you: who thought smoking in a can of oxygen was a good idea? I'm old enough to remember that - it was pretty insane. So I've heard that Socrates is your favorite philosopher. What are your favorite words of wisdom from a philosopher other than Socrates? You've read my book LEVEL 2 (thanks!). If ATP's main character Astrid were to land in Level 2, what memory would she play over and over? 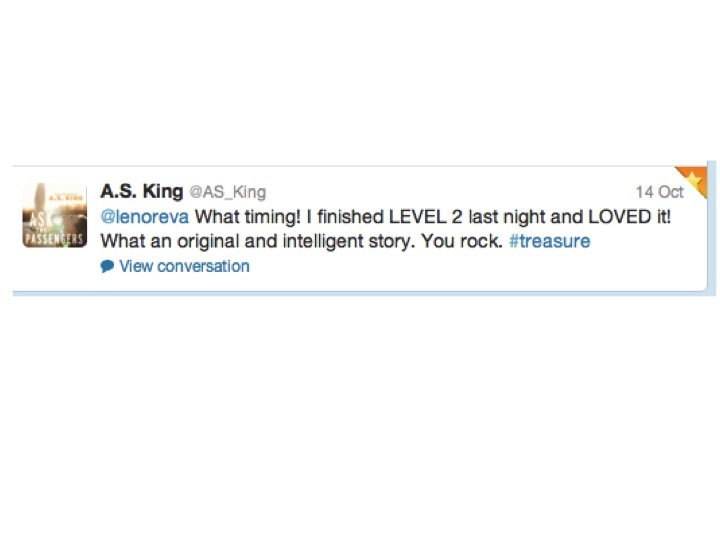 Correction: I read and loved LEVEL 2. Mom and I take a walk all the way to Central Park to see the statue of Balto, the sled dog who delivered medicine to people dying of diphtheria back in 1920-something. She tries to tell me about diphtheria and she doesn't care when I don't listen. I'm six. We're taking a break from Ellis. We love Ellis, but she's a lot of work because she's three. Mom holds my hand, and when I make up a song about Balto, she asks me to tell her the words and we sing it together the whole way home. We laugh a lot. Wow! I think I need a moment to recover from that awesomeness. Don't a get a photo? In honor of our long-standing tradition, I will also include this awkward photo for you, Lenore. I don't think I've ever shared this one before. 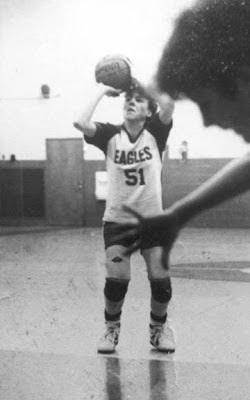 It's me taking a free throw in 1987/8 as a senior on my basketball team. My right leg is like a robot leg. I had really bad knees back then. Plus, I was 5'10" and got pushed around a bit under the basket, so knee pads were a must. I use this picture in some of my school presentations with this caption: Did I make this shot? Does it really matter? For the record, I still take a mean free throw. But I am now 5'9" tall. The placement of your opponent's hand is really ... awkward. Best part: That hand is my best friend's hand. We've been BFFs since we were 4.